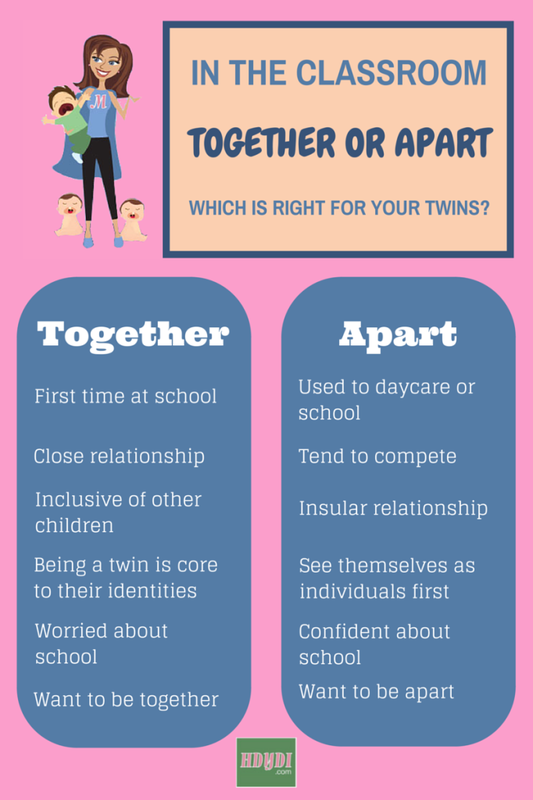 Twins and School: Together or Apart? | How Do You Do It? Twins and School: Together or Apart? 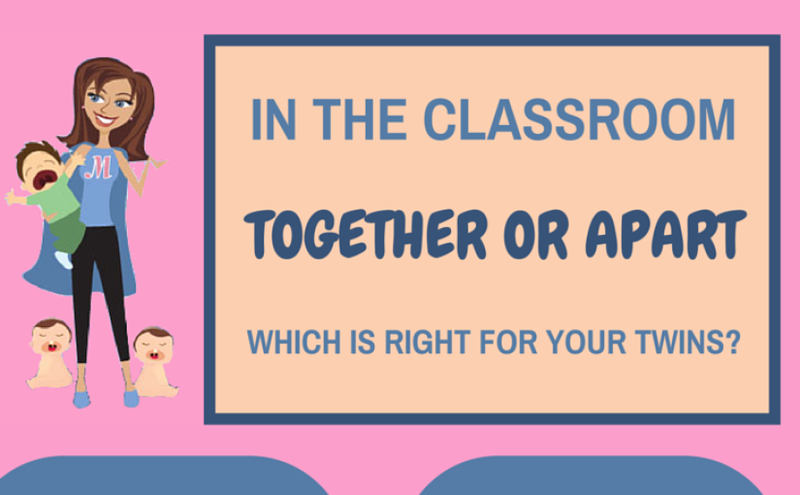 It’s kindergarten registration time for many of you in the US and Canada, and parents of multiples are hit with the age-old question: Together or apart? Check out our full list of HDYDI posts on classroom placement for multiples. Historically, many schools have had policies insisting that multiples be placed in separate classrooms. This has been changing in recent years. Likely due to the increase of multiples in the population, there has been increasing awareness of the variation between sets of multiples . Some twins do, in fact, perform better in separate classrooms, but some do better together, as Dr. Nancy Segal points out in her guest post “Separating Twins in School“. We owe a debt of gratitude to parents who have been advocating for each set of siblings being treated individually. A number of laws have been passed around the world putting classroom placement decisions in the hands of parents, who know their children best. I thought very hard about whether my daughters should be in the same class in elementary school. I pushed aside all generalizations about what worked “for twins in general” and looked at my daughters as individuals in a relationship. They were used to being away from home for large stretches of the day, thanks to starting daycare at 11 weeks old. They were accustomed to classroom discipline. Starting kindergarten wasn’t going to be nearly as disruptive to their lives as for children with a stay-at-home parent. M and J loved being together, but reports from their daycare program indicated that they were as likely to select different activities to participate in and friends to play with as they were to play together. They had the same friends, but different best friends. They loved being twins, but they also loved being “just J” and “just M”. Some kids had trouble telling them apart. Given all this information, I elected to request separate classrooms for my daughters as they started kindergarten. We were late to enroll in school, thanks to last-minute Army orders, and the school asked if they could be placed in a single classroom, where they could make room. We stood firm. We wanted our daughters in separate classrooms to minimize comparison and to put focus on the girls’ individuality over their twinship. They did just fine apart. Later in the year, when the school moved them into the same first grade class, they did fine together. When they went to first grade for real, they performed wonderfully, both socially and academically, apart. In the two years since, when they’ve been in the same classroom by their own request, they’ve done well too. For my girls, it’s just a matter of preference. They’re equally successful being in a classroom together or classrooms apart. They just prefer to be together. We are so fortunate that our school district allows parents to choose whether or not twins should be in the same classroom. We chose to place our identical twin boys in the same classroom when they started kindergarten last September. Our reasoning: we didn’t do daycare or preschool so this was the first time they were away from me and their dad, other than the occasional day with the grandparents. We didn’t want the first time away from mom to also be their first time away from each other. When at home or at the park or library story time, they had always gotten along really well, without fighting, and we hadn’t seen any negative competitive behavior between them. When they are with other children, they play both with each other and with other kids, so we were fairly confident there wouldn’t be any negative effects with them in the same class. Also, based on logistics, having them in the same classroom is so much easier. I only send one email with information about absences, illnesses, questions, etc. I can volunteer in just one classroom. They get invited to the same birthday parties and playdates. We don’t have to deal with jealousy because one twin’s class got extra recess that day or other such things (that are a very big deal to a five year old). And finally, (and really what probably affected our decision the most) we have friends who are 30 year old identical twins. They both agreed that being separated in elementary school made them anxious and miserable. One twin said he specifically remembers being worried while sitting in first grade, because he couldn’t physically see his brother. Because our boys are also identical and very traditionally close, this conversation definitely impacted our decision. The result: our boys have thrived being in the same classroom. They are both doing well academically, socially, behaviorally and physically. Their report cards look the exact same (which we’ve also noticed at home — they just learn things at the same time and have the same abilities so far). They love school and they love being in the same class. According to their teacher, there are no negative effects having our boys in the same class. They rarely choose each other for their partner and sit at different tables, but they do play together at recess, along with their other friends. She sees them occasionally looking for their twin and then going back to work during the day. Their teacher was able to tell them apart (based on head shape and a small red mark on one twin) after one week of school. Their classmates definitely have more trouble telling them apart, but so far it hasn’t bothered my boys to casually correct their friends. This year, based on the recommendation of their teacher, logistics and my boys’ own opinions when asked, we’ve decided to keep them in the same classroom next year for first grade. Would they be okay separated? Probably, yes. But, it’s easier for me if they’re in the same classroom; they enjoy being in the same classroom; it’s easy enough for their teacher to tell them apart; and there are just no negative side effects having these two identical twin boys in the same classroom, so until there are, we’ll continue placing them in the same classroom. When the idea for this post started, and I decided to participate, I was on the side of twins should be together. My boy/girl twins were 21 months old and were never apart until he got sick and had to stay home from day care one day. By then he was fine and spent the day asking for his sister. Now a bit of background here. She is a firecracker. She is independent, headstrong, stubborn, and has a stare of doom that will freak you out. He is a cuddle bug, and has been since day one. He is older and bigger, but she has achieved most milestones first, including walking. Once she started walking, she became even more independent. At 21 months he is was just starting to walk and was still very unsteady. My twins were in the baby room at day care. The next room up is for 2-3 year olds, but most kids move in at about 16 months. At the time of writing this post, my kids were 21 months. And Miss Independent with the stare of doom was so ready to move up. So we did it. And she thrived. Every morning in the new room was fabulous. She barely waved goodbye to me before going off to check everything out. She was happy. So clearly, twins should be separated. But here is the thing. My boy was not happy. Every drop off at day care was a heartbreaking mess. Whether we dropped her off first or him, he was clinging to me and sobbing for dear life. I could hear him after I left the room. (OK, I could hear him crying for hours, which logically is not possible, but moms have that kind of super power.) Day care promised me that he calmed down each day and did fine, but you know when you just have a feeling…. So I started pushing them to move him up too. But he was not walking well enough for that room. Fast forward, we came up with a plan…a brilliant plan! Both babies get dropped off in the baby room. She (thankfully) was fine with it. He was fabulous with it. But it did bring up face to face with the idea of separation. The day care kept telling me that twins need to be separated. That he was fine, eventually. And that may be the case. But not yet. At 21 months old he was going through some things and needs his sister. At 21 months old, they were still babies and while she seems to understand and appreciate (and at times accept) logic, he wasn’t there yet. They slept in separate cribs, sat in separate car seats, and they spend time apart 2 days a week in school (while he was transitioning). But in school he needs his sister, and that is good enough for me. She helps him walk, she gives him more confidence, and he thrived during this transition. My twins need to be together in school, at least for now. Check back with me in 2 years when we need to talk about Kindergarten classes. What are you thinking? Do you think your kids will be better off together or apart in school? What an interesting discussion! My twins are going into preschool next year after being with a nanny, and they’re going to be in the same class. For us, the biggest reason was that they like being with each other, and since this is their first experience in school, we thought they could have each other’s support. The second reason is that we really like one teacher (my eldest went to this school too) and wanted our twins to have her as a teacher. Great thoughts! I have id boys and am definitely in agreement about what’s right for my boys as the mom in the same situation. I find it especially important to ask the opinion of GROWN twins and find out how they were affected. It’s touching and sad that they felt anxious and upset. I’m glad people are being more flexible these days and dropping the one size fits all policy of splitting. For the record my id boys have siblings and also play great with other kids… Perhaps an overlooked dynamic might be the influence of siblings vs. the twins being the only children. Our mulltiple births group has a session every year on multiples in school. There are various presenters including some twins and triplets talking about their school experiences. I was particularly struck by the mother whose triplet boys started being in different classes in preschool (at the parents choice) and had given a couple of parties for 90 children – all 3 classes at once. She said it was easy. As a mother of twins – parents of higher order multiples amaze me. Someone pointed out that children who start school with a friend in the same classroom do better emotionally so why would you deny that advantage to your multiples. Some reasearchers who have been studying this issue come along and talk about their research and the research done elsewhere. They said that there were situations like where one twin had a developmental delay where it would be better to be in separate classrooms so that they could each to develop at their own rate. Generally they said that the current findings are that there is no evidence that multiples without developmental issues are harmed by being in the same classroom. There are some multiples (mainly id girls) that were emotionally harmed (not as happy) by not being in the same classroom – and this went on for a few years. They would lean on the side of multiples being in the same classroom unless there was a reason not to. Our girls play well apart and but I think they have benefited from having their twin around (they’re in grade 1 now). As an added benefit – it’s been nice having one teacher to deal with, once classroom drop off (big thing in our school when children are in their first year of school), one class play etc. It’s wonderful that your multiple births group takes such a proactive position on educating new parents! My older singleton daughter is starting Kinder in the fall (I’m about to enter the application process for a dual language immersion elementary school in a neighboring district), so this topic has been on my mind. Though I do have 3 more years before her twin siblings start formal schooling, they will be beginning preschool together part-time in the fall as well. I’m going to keep my twins together, primarily for the reasons mentioned here by many: it is much more convenient for me. One teacher, one classroom, same homework, activities, fieldtrips, friends, etc. And I’ll keep them together for as long as it works for us. Because my reasons do extend beyond that. My twins are fraternal and don’t look alike, so there’s no danger of them having trouble developing their own identities or being mistaken for each other. In fact they are of opposite genders, which I feel further limits comparisons between them, so they shouldn’t suffer any self esteem setbacks from one twins being better at something and the other at something else. Plus they’re really very individualistic already. I’m raising my children to be independent, which seems to have been successful so far. The twins are rarely apart, of course, but they can play alone equally as well as they play with each other. Curious about triplets. My girls will be starting kindergarten in two years and the school they will be going to automatically splits up multiples. I will have to have a with meeting the principle and then they will decide if they will still be split. I feel like i don’t really get to have a choice. Scared of how they will react once split. I really feel strongly about keeping them together. Anyone have experience with splitting/not splitting triplets? As an educator I’d strongly advocate a case by case approach. I have seen both twins needing to be together and being apart. Since I don’t have twins, I never considered this question. Reading the different scenarios above has opened my eyes to the issue. When I was at school, it was a four-teacher school with less than 100 pupils. The class below mine had 4 sets of twins (8 out of a class of 22!). There was no option to separate them. Looking back, I hope it worked out well for them all. Extremely interesting post, over in the UK I’m not aware of multiples being separated. My daughters class has two sets of twins but I know they play separately, as in they play with different friends. I’ve never considered the possibility of separating multiples and whether they would achieve better alone. Its a very interesting subject. How interesting, definitely I think each set of twins need to be considered individually. I’m a twin myself, although non-identcal, and we are the middle children out of four. We were always separated in classrooms and this was a school decision, and I don’t remember being anxious about being apart from my twin, so for us I feel being separated didn’t affect us emotionally. However some twins may need the emotional support of their twin more than others. If I had twins myself and I had the option, I think I would have them in the same class to begin with, mostly for, as others have mentioned, logistical reasons and then if they felt comfortable when they got a little older then they could be in separate classes later on to develop more of their own identity. How interesting. I think it is right that the parents get a say in this as, of course, they are the ones who will know the children best, and under which circumstances they thrive better. This is really interesting but having read it and having a think it does make sense to take each case and consider it rather than try to make a one rule fits all? Absolutely! Many U.S. states have laws protecting parents’ right to determine their children’s placement. However, many school administrators are ignorant of these laws and have policies enforcing separation. It’s a constant battle… and those of us at schools who are supportive are very grateful! What an interesting read from parents point of view. 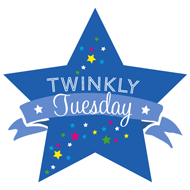 I have worked in a Primary school for many years as a Teaching Assistant and I have not once come across a class with a set of twins in one classroom, they have always been split. Whether it was the parents choice or the school’s I don’t know. The children have always seemed happy enough though but that’s just what I see. My girls are starting preschool in the fall after being with a nanny (albeit in her home, not mine) for the last 2 years. I honestly think they would be OK either way, and I think one would prefer together and the other would prefer apart, but I think I will end up separating just because I figure it’s going to happen to them sometime, and maybe if they do it now it won’t be so traumatic?? I don’t know. I think the school is flexible enough that if it was obviously not working we could switch. Also the two classrooms are physically connected so they would still see each other. I agree though, this is definitely a decision that needs to be considered separately for each set of multiples.